Weekly meditations are held every Thursday between 12:30-1:30pm. The weekly Meditations alternate between Vipassana Meditation (with the Meditation instructor Sharon Van Buuren) and Yoga Nidra Meditation (with Pauline Monahan). We occasionally hold other meditation workshops and events out of our studio space. Stay tuned to our events to see what is coming up. This meditation class will be held every second Thursday at 12:30PM. Vipassana, which means to see things as they really are, is one of India’s most ancient techniques of meditation. Vipassana is a way of self-transformation through self-observation. It focuses on the deep interconnection between mind and body, which can be experienced directly by disciplined attention to the physical sensations that form the life of the body, and that continuously interconnect and condition the life of the mind. It is this observation-based, self-exploratory journey to the common root of mind and body that dissolves mental impurity, resulting in a balanced mind full of love and compassion. Life becomes characterized by increased awareness, non-delusion, self-control and peace. Sharon is an experienced Vipassana teacher who is passionate about bringing this deep and revealing tradition to the community. Yoga Nidra is an ancient yogic practice that induces a waking dream state. One remains conscious while noticing sensations, breathing, body parts, images and memories. It disengages the thinking mind by entering a place between waking and sleeping. This has been referred to as “yogic sleep”. Yoga nidra can help people with symptoms of anxiety, depression, PTSD, phobias, and stress in general. Serotonin and dopamine are released, and cortisol levels are reduced through Yoga Nidra. It is among the deepest possible states of relaxation while still maintaining full consciousness. 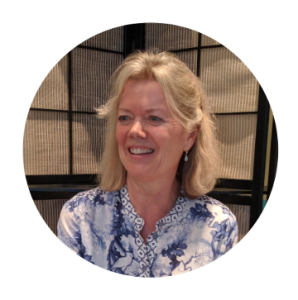 Pauline Monahan has studied yoga and meditation and is a fountain of wisdom on the subjects.